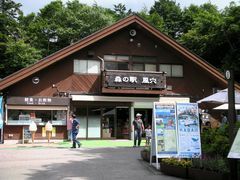 Access by public transport: From “Lake Kawaguchi” Sta. of Kyuko Line change to Fuji Kyuko Bus and get off at “Fuuketsu” bus stop, etc. 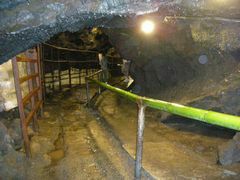 This lava cave is appointed to a natural monument, it is a cave-type cave of approximately 200m in total length. 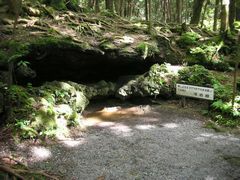 Until the early days of the Showa era this place was used as a natural refrigerator, which annual average temperature is approximately 3 degrees Celsius, being used for the storages of the egg of the silkworm until the early days of the Showa era. 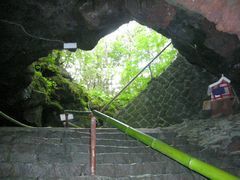 For a cave type, inside this cave is easier to walk around than Narusawa Ice Cave whch is next to this place. 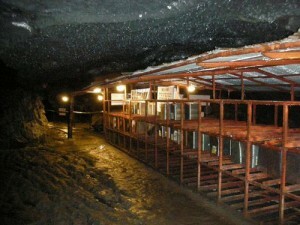 Other than a cave, the stand was fully equipped with too, just reopened in 2012. 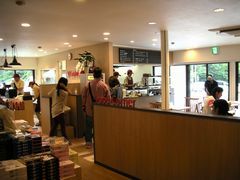 The purchase of light meal and the souvenir from Yamanashi is possible. 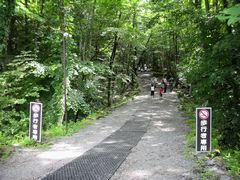 The windhoele is located in the corner of Aokigahara Jukai (sea of trees), and there are some holes in the neighboring ground. Afterr lava flowed and gas gushed out and here was created. 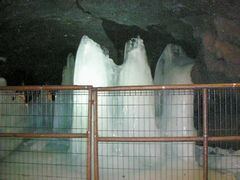 In addition, as for the cave being cool, water collects at the bottom of the cave, and does not melt even if it is past summer with freezing in winter.